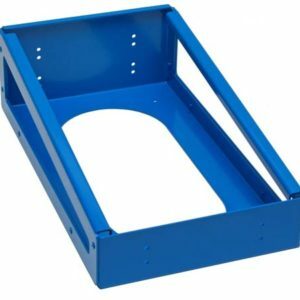 Syncro System’s full length top trays represent the smart solution for carrying long items of equipment in your van without wasting an inch of valuable space! 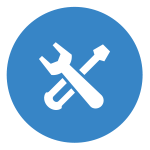 Customer satisfaction is one of the pillars on which Syncro System has built its success. 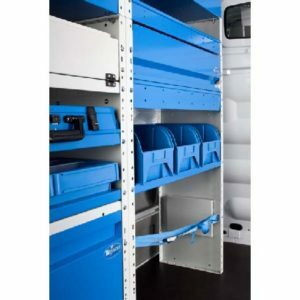 Syncro ensures customer satisfaction on a daily basis by listening to the needs of each individual customer and coming up with intelligent van racking solutions, tailored for the purpose. 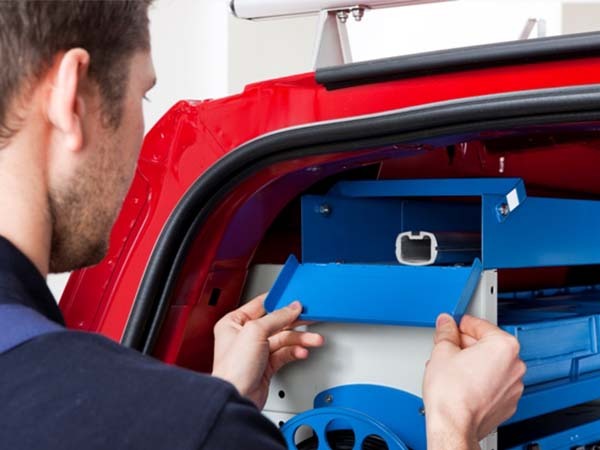 Over the years, the Syncro product catalogue for van storage and mobile workshop equipment has grown dramatically to cover all makes and models of van and to include a vast range of solutions to problems large and small. The full length tray. What is it? How is it made? 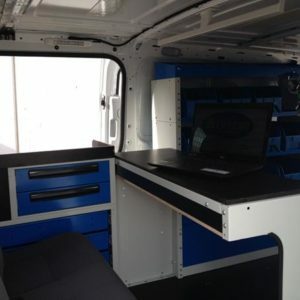 Where does it go in your van? 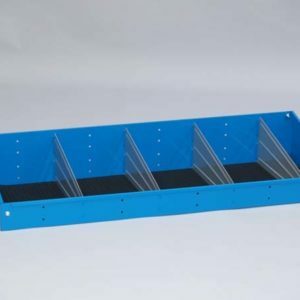 The full length tray is commonly referred to as the “top tray” because of its most popular location, on top of all the other cabinets, right under the van roof. 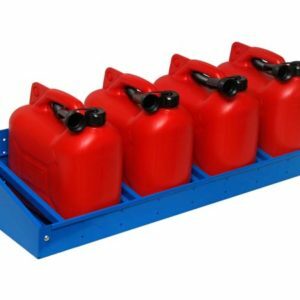 It is designed to carry long items like pipes, posts and cable ducts, all of which demand a particularly long container. 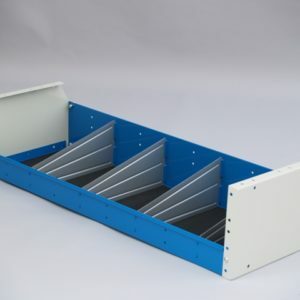 The tray is open at the top, has raised long edges and a fold-down access door towards the back of the van. 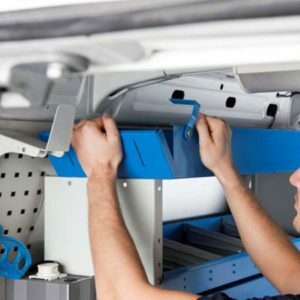 It can be installed at any height in the van but is generally placed on top of the other cabinets, where access to drawers and other kinds of shelf becomes more difficult. 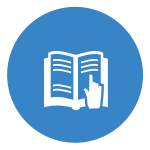 Customers derive two benefits from installing a top tray in this position: the tray not only provides the perfect location for longer items but also makes full use of a space that would otherwise be left unused. 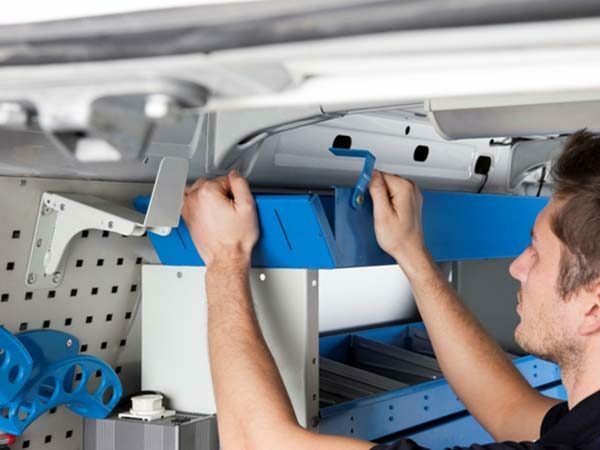 The top tray is typically installed as the uppermost element of one or more columns of storage cabinets, but a special support is also available to allow it to be secured directly to the van’s side wall or to the Syncro van body lining. 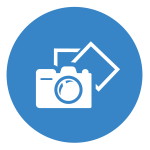 It can therefore be used independently of other storage modules if so required. 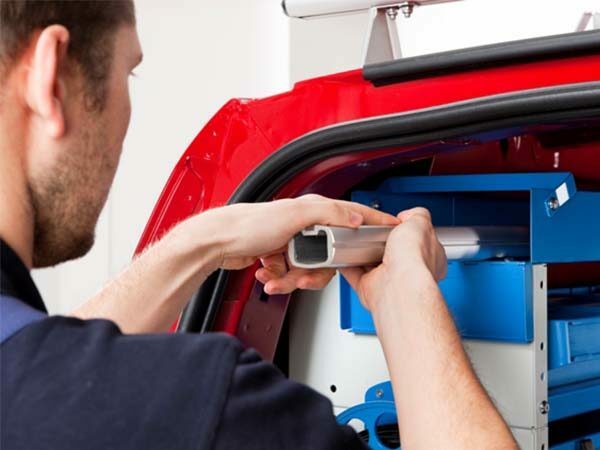 can be mounted directly on your van’s side wall using the SUP-GRA adjustable support. 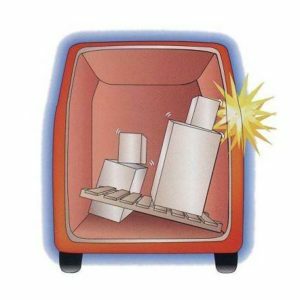 To remove an item from the top tray, you can either reach over the raised edge and lift the item out over the top, of you can release the catch and fold down the rear access door. The rear access door comes with clear marks for cutting. 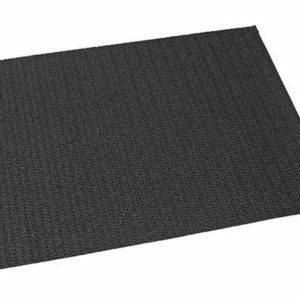 If you need to install the top tray in a position that makes it impossible to open the door fully, it can be shaped with a hacksaw or grinder to create a partial opening and gain easy access to contents. 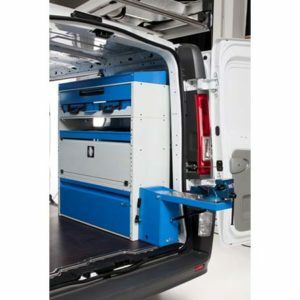 As you might expect from Syncro, the full length top tray is not the only solution for transporting pipes, cable channels and other long items, even though it is the ideal way of doing so inside the van. 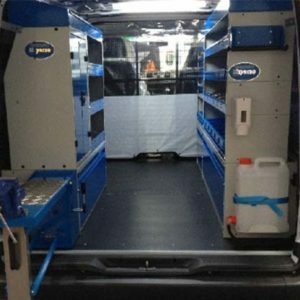 strap and hook lashing systems for installation inside the van, for use with all kinds of cargo.